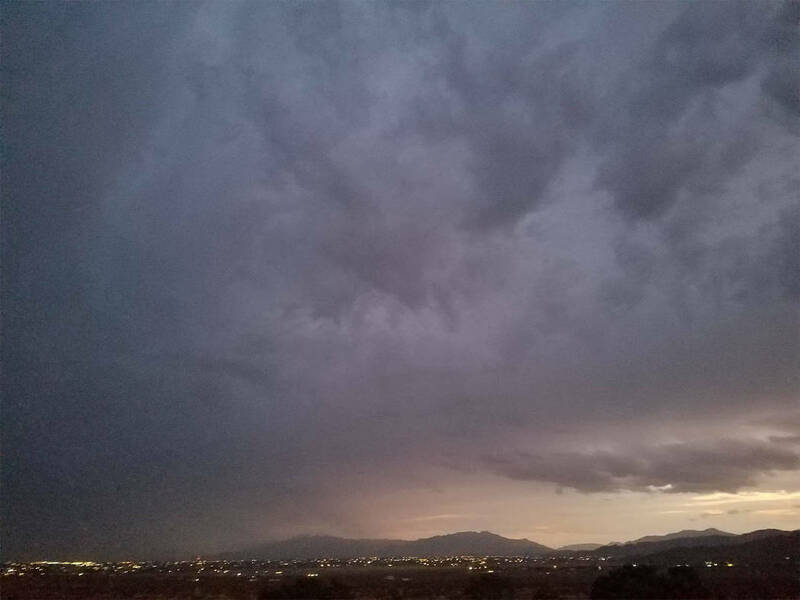 The weather in Pahrump will begin to feel more like fall come Thursday with temperatures dropping into the 80s, the National Weather Service in Las Vegas projects. Sandra Townsend/Pahrump Valley Times A look at the storm as it was on the move in the Pahrump area on Sept. 8. The weather system brought rain and lightning to the region. Temperatures will begin to drop in Pahrump later this week while today and Thursday will be the last two days to have the weather in the low 90s. “This would be transitioning into a fall-like weather pattern out of this summer regime that we were in for the past three months,” said Barry Pierce, a meteorologist with the weather service. Pierce said the storms moving through the Pacific Northwest will keep the area dry and cool for the next few weeks. “We are starting to see more storm systems out of the Pacific making their way into the western U.S.,” Pierce said. Once the storm is over, Pierce said it’s possible Pahrump residents could see more 90-degree days. The lower temperatures will be in the region until Sept. 25, and he said there is a probability of temperatures remaining “slightly below normal” after that date. Friday, Sept. 22 is the start of calendar fall. October, November and December now call for a slightly higher probability of above-normal temperatures in the region, the weather service said. 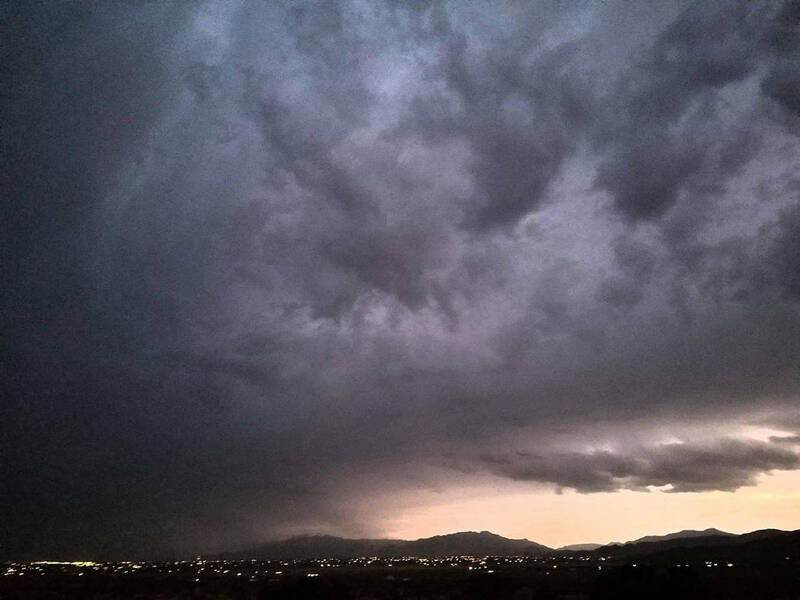 A flash flood warning for the Pahrump and Sandy Valley areas was in place until 4:15 p.m. on Friday, according to a weather service report. “There were several flash flood warnings for southeast Inyo County that extended into southern Nye County, as well,” Pierce said. An 8-foot rise was reported in the Amargosa River near Tecopa. Flooding on California Highway 127 and Old Spanish Trail Highway was reported by the California Highway Patrol at 4:36 p.m. Friday. Floodwaters had receded by 2 a.m., and flows in the Amargosa River were back to normal by 2 a.m. Saturday. No severe flooding was reported in southern Nye County.